It had been a while since I’d picked up a copy of ACTION COMICS. I can’t be sure this many years after the fact, but I’m guessing that the fact that the Flash guest-starred in this one was the tipping point needed to get me (or really my parents) to plunk down thirty cents. I remained a Superman fan, there were just too many other comic books that I wanted to check out. Here, the cover pretty much tells you the entire story of the issue in a single image, a remarkable feat. That thought balloon from Lex is pretty fun and funny as well. The Flash then shows off some super-speed feats to prove his bona-fides. 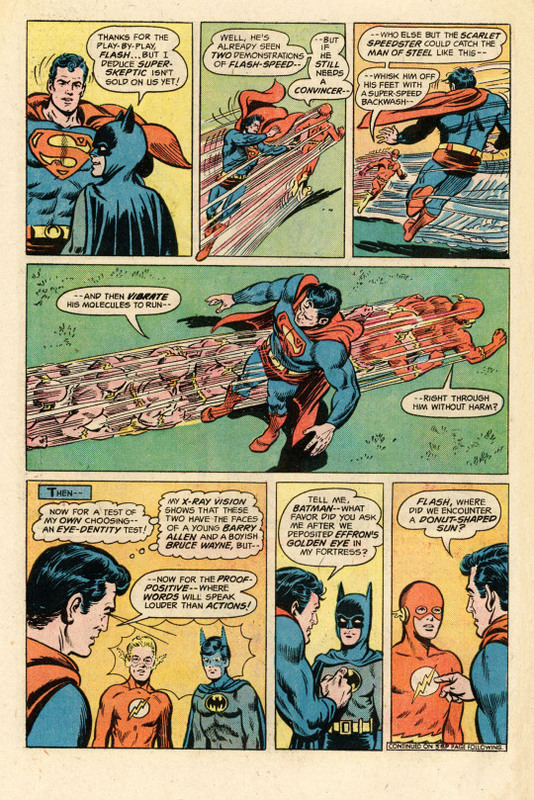 Superman follows up by using his x-ray vision to peer through the masks of his two compatriots to insure that they are really Barry Allen and Bruce Wayne. He follows up by asking each one a question from continuity that only they would know, including a callback to the very first comic book I ever read. SUPERMAN #268, which I found pretty cool. 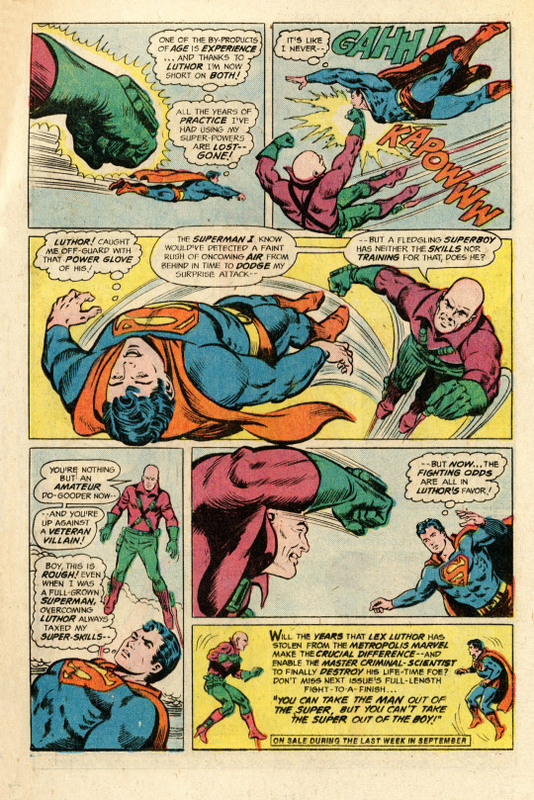 But then, Luthor declares that Superman’s time is up and blasts him from out of nowhere with a strange ray. When the Man of Steel picks himself up, everyone else is gone. Changing back to Clark Kent for a WGBS shindig, Superman finds himself transformed into a teenager at this inopportune moment. 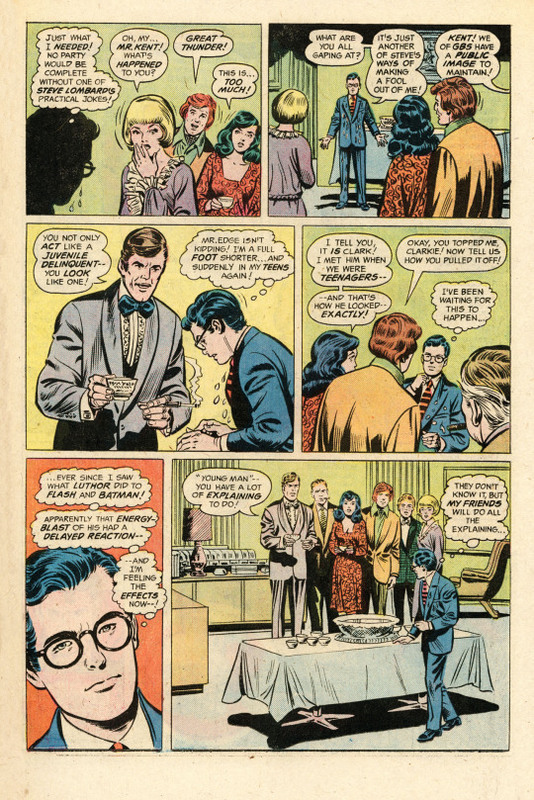 In order to conceal his identity, he creates a complex ruse using the youth serum that was once used to rejuvenate Ma and Pa Kent to cause all of the guests to be temporarily rejuvenated, thus concealing what has affected him and casually toying with the lives of dozens of people. The blame is laid on the secret ingredient the caterers put into the party Punch. I’m sure that Morgan Edge didn’t sue them for this, really. Superman races off to deal with an overturned oil truck that’s ablaze, but his initial impulses to contain the crisis prove to be off-base. In addition to being physically younger, he’s also lost all of the experience he’s gained over the years dealing with a variety of problems. Essentially, he’s back to being Superboy again. And here comes Luthor, ready to take advantage of his enemy’s relative inexperience to smear him all over the landscape. As the two combatants close, this installment draws to a close. I wouldn’t read the next part for at least twenty years. The back-up is sort of an odd duck. 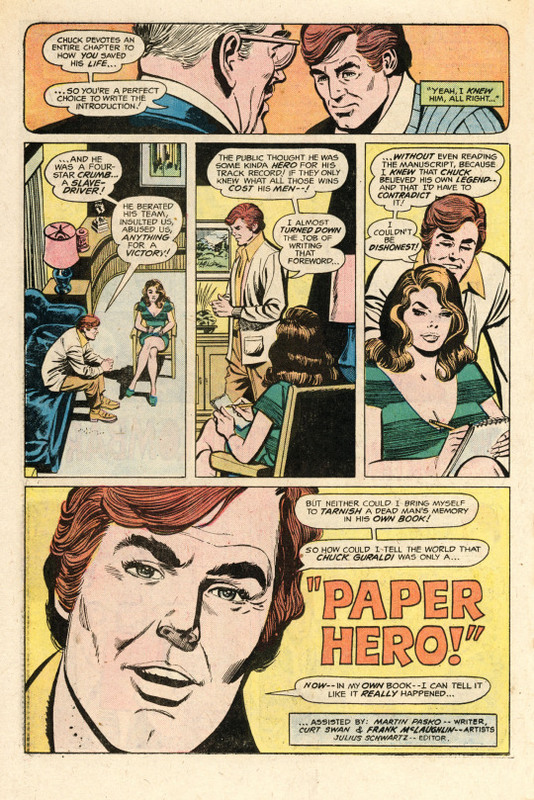 It’s an entry–I don’t know that there was ever more than one–in a series called The Sporting Life of Steve Lombard, featuring Clark Kent’s WGBS nemesis and Flash Thompson wanna-be Steve Lombard. 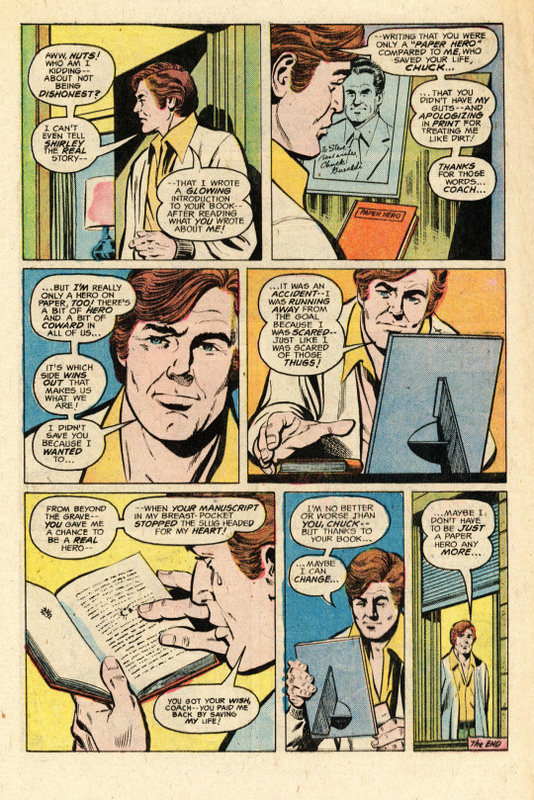 I don’t know that any reader was especially yearning for a Steve Lombard solo story, and the tale we get here is nice and sentimental, but nothing that’s really going to change that opinion drastically. Especially since Steve needs to continue to be something of a jerk even when headlining his own series. Well, I guess Reggie Mantle was able to hold a book for many years. The story involves a book devoted to Steve’s old coach, Chuck Guraldi, a slave driver whom Steve once accidentally saved from a falling goalpost and whose book publisher wants Steve to write an introduction. But Steve knows that his rescue and the kind words the Coach has written about him were a sham, he was running from the falling goalpost and only pushed the Coach to safety by accident. But later, when thugs try to rough Steve up for an expose he’s doing on mob ties to prize-fighting, the Coach’s memoir in his pocket stops a bullet that would have killed Steve, saving his life and balancing the scales for the Coach. The story ends with Steve reflecting on his own shortcomings and coming to the conclusion that he could maybe be a better person. Except, of course, that he ultimately doesn’t–in the next story, he’s back to being the same old Clark Kent-tormentor he’s always been. 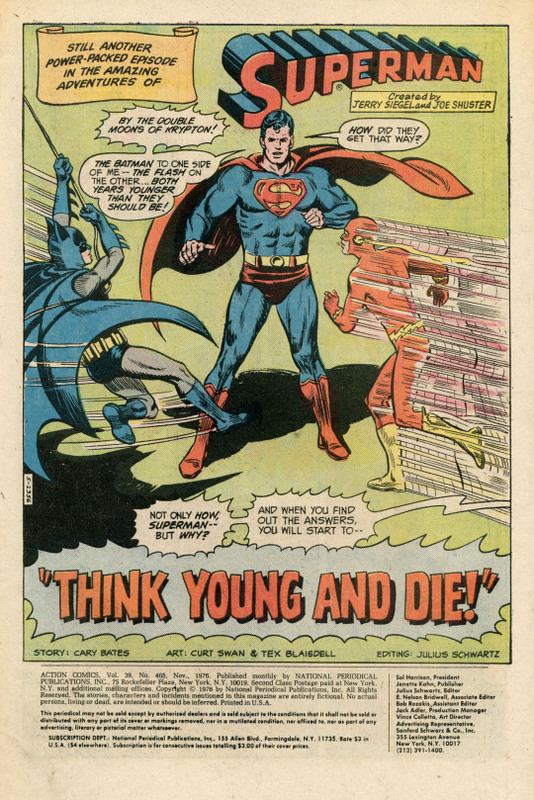 So, yeah, a weird story, probably initially commissioned for SUPERMAN and being burned off in this issue of ACTION.